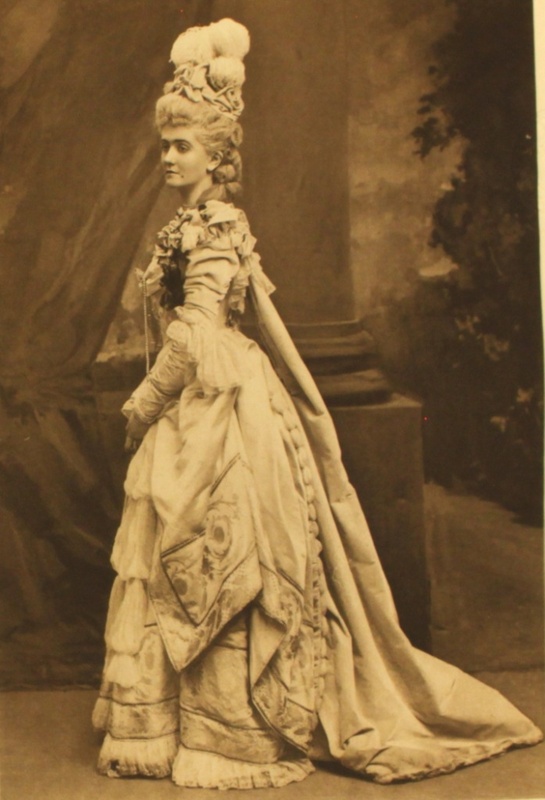 It’s the time of year for parties so we’re back at that social event of 1897, the Duchess of Devonshire’s Diamond Jubilee Costume Ball which has proved to be one of the most popular subjects on the blog. The Duchess and her party organiser must have been well aware of the interest the Ball would generate. The Lafayette photography company set up their portable studio in a tent in the grounds of Devonshire House, and the photographers must have been working hard to get through nearly 200 subjects in the course of the evening. But it would have been worth it. They would have been able to sell postcards and prints of the guests to a public which was already generating an early version of what we now call celebrity culture. In addition there were expensive souvenirs. The book I’ve scanned these pictures from is a large heavy volume produced in a limited edition. This selection features only female guests. Their costumes were the main focus of interest for the photographers so I’m following this example as any popular magazine edition would have done. As I’ve noted in previous posts (1st,2nd,3rd) the costumes were mainly historical with the 16th,17th and 18th centuries providing most of the subjects. But there were also literary, mythological and artistic costumes. 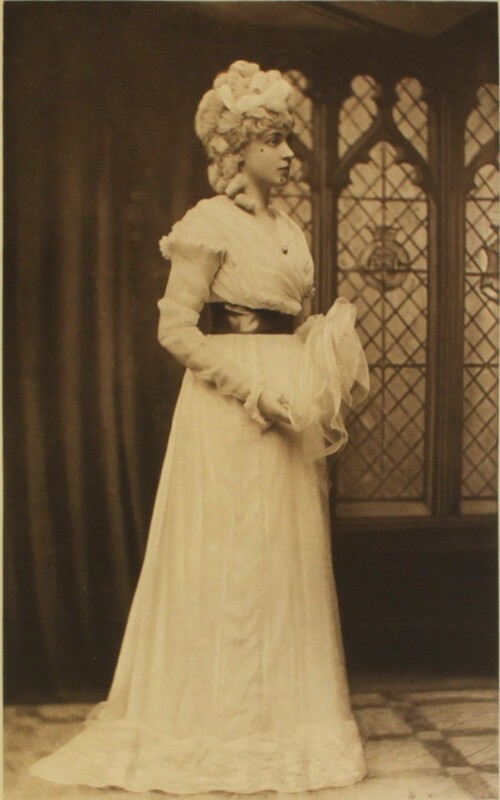 Lady Ampthill, as “a lady of King Arthur’s court”. Lady Rodney’s costume designer has a slightly different take on fashions at Camelot. A similar free reign could be taken when creating costumes for characters out of antiquity. 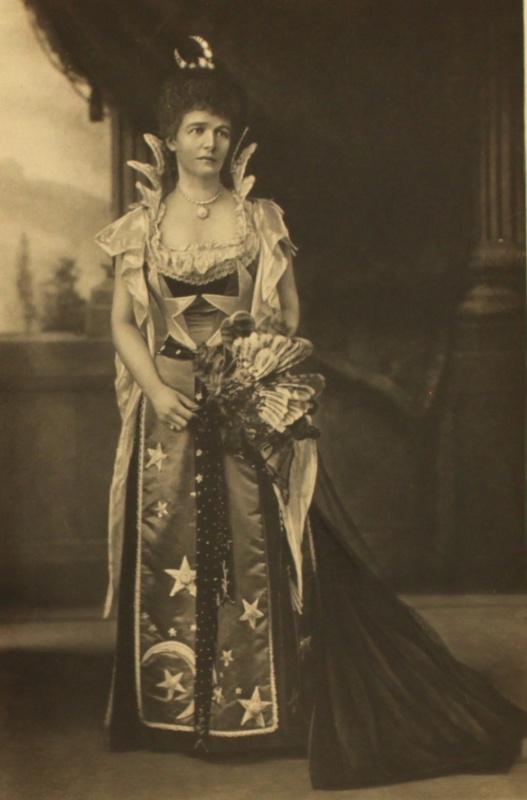 Miss Fraser as Delilah, a Biblical character familiar to most people of the time. 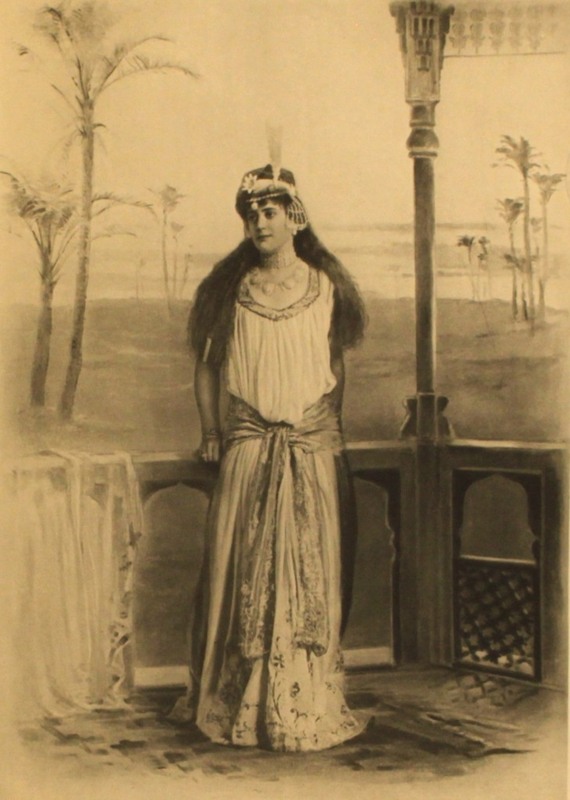 Miss Muriel Wilson as Queen Vashti, the first wife of King Ahasuerus in the Book of Esther. Vashti is sometimes called a proto-feminist icon for her refusal to appear before the King’s guests at a banquet. Lady Herschell looking slightly unhappy as Night (costumes expressing ideas like night and day were quite common at fancy dress parties). 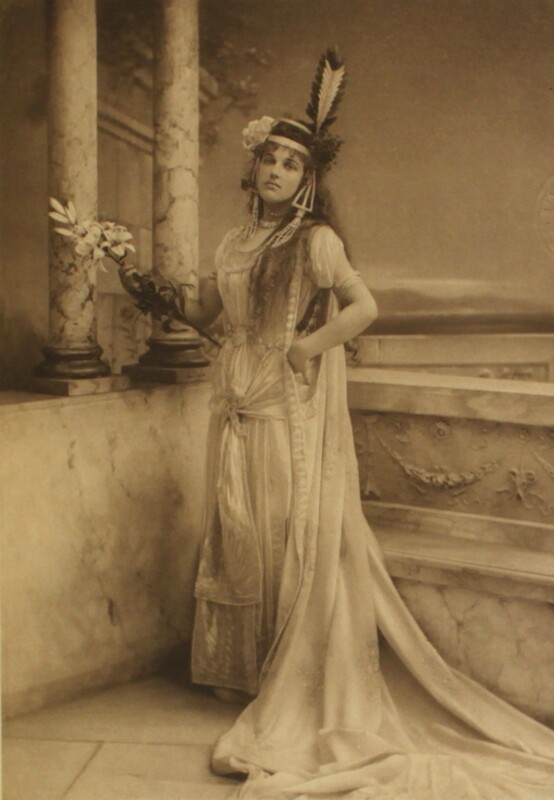 The Countess of Westmoreland as Hebe, the Greek goddess of youth, daughter of Zeus and Hera. Did she bring that bird herself, I wonder or did the photographer have it handy, in his box of props? The Hon Mrs Fitzwilliam after a portrait by Romney. 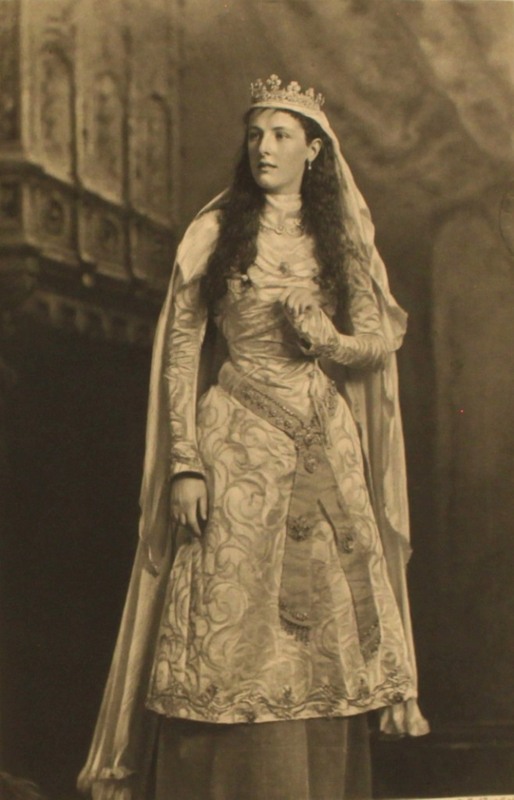 The Duchess of Buckingham and Chandos (a fine title) as Caterina Cornare, Queen of Cypress. 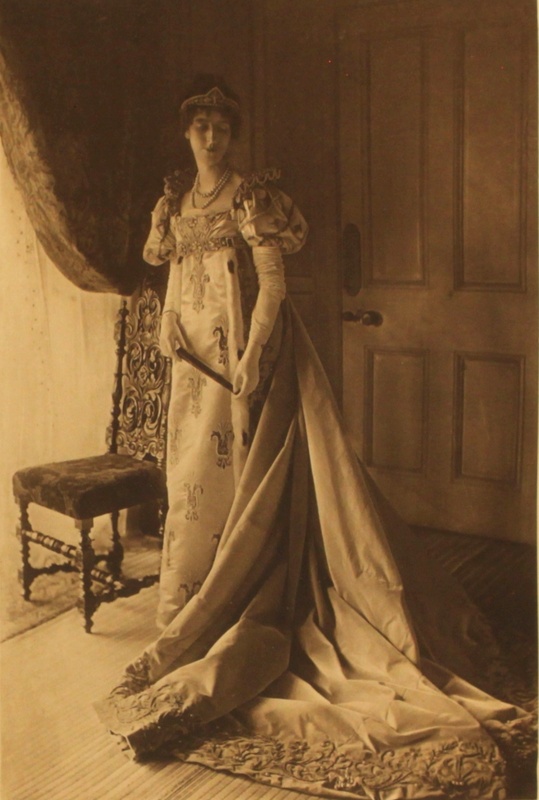 Lady Aileen Wyndham Quin as Queen Hortense. I’m assuming that this is Hortense de Beauharnais, stepdaughter of Napoleon and daughter of Josephine. She was Queen of Holland as the wife of Louis Napoleon and the mother of Napoleon III. 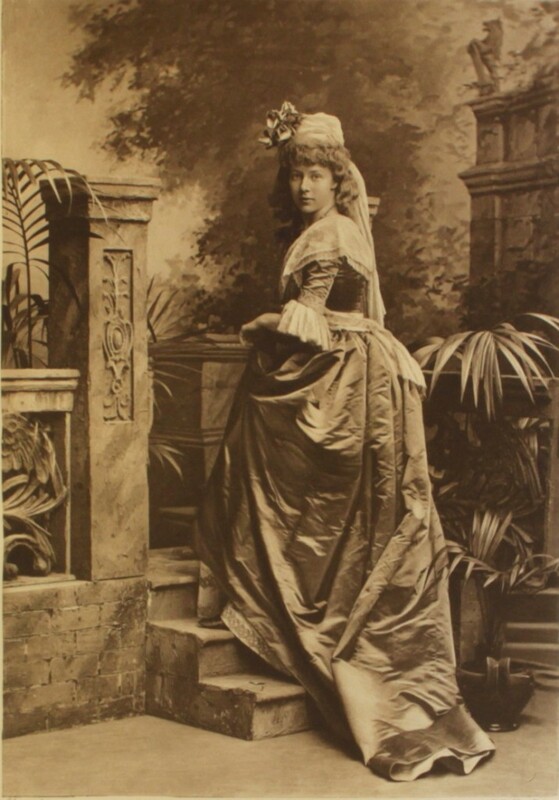 The Hon Mrs Lowther as Madame Therese de Tallion an “Incroyable” according to the caption in the book, one of the fashionistas of post Reign of Terror Paris, although my cursory research indicates that the Incroyables were the male ones and that the correct term for the women was Merveilleuses (marvellous women). Hortense de Beauharnis was also a Mervelleuse in her younger days. 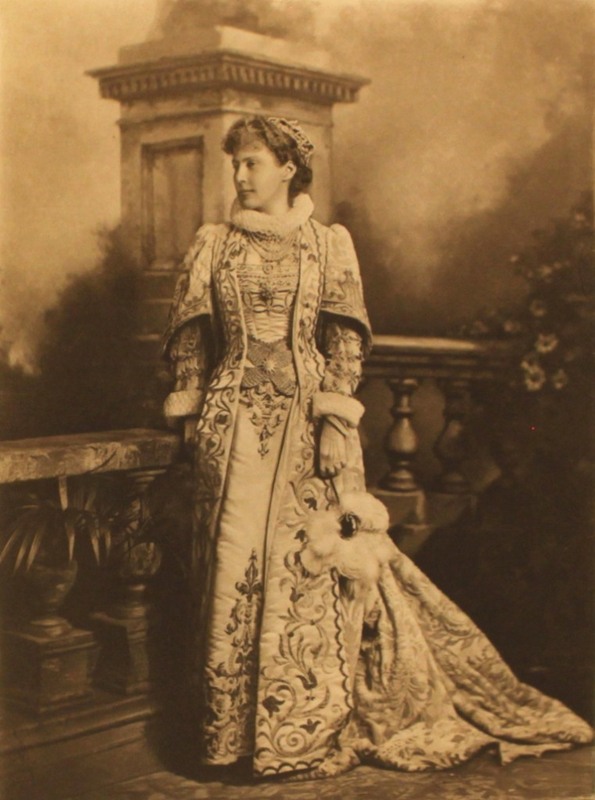 Lady Fitzgerald as Marie Josephe Queen of Poland. 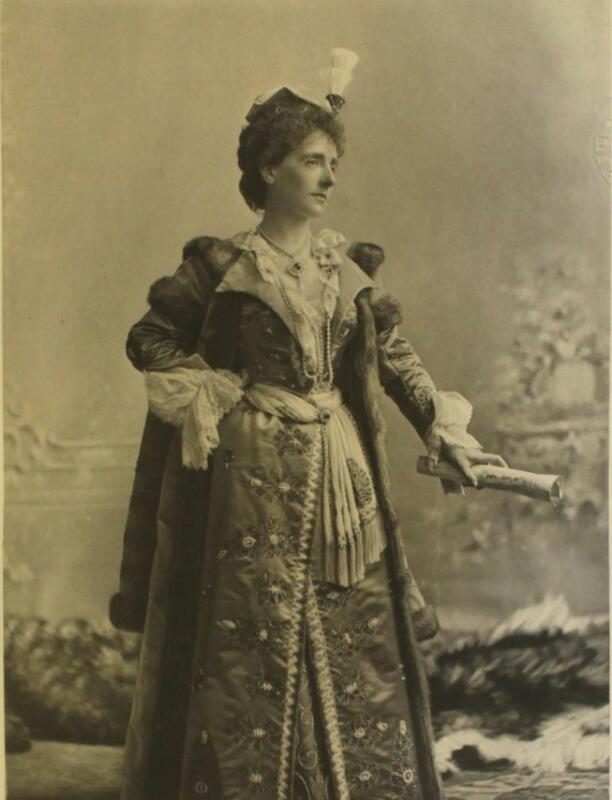 Lady Moyra Cavendish as Countess Lazan, a person I haven’t been able to find out anything about, but it’s a good costume. Lady Lister Kaye as Antoinette de Bourbon, Duchesse de Guise and maternal grandmother of Mary Queen of Scots. The Duchess of Hamilton as Mary Hamilton, a lady in waiting to the same Mary Stuart, and possibly one of her own ancestors. 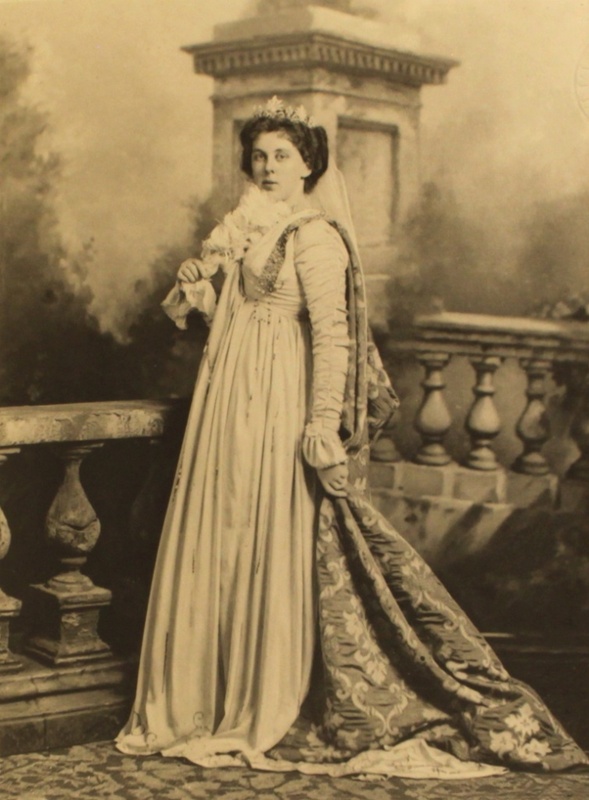 Lady Alington as the Duchesse de Nevers, a lady from the court of Marguerite de Valois. She looks to me as if she has been very patient with the photographer but is now ready to go. The Hon Marie Kay as Mademoiselle Andree de Taverney, another 18th century lady who has evaded me today. 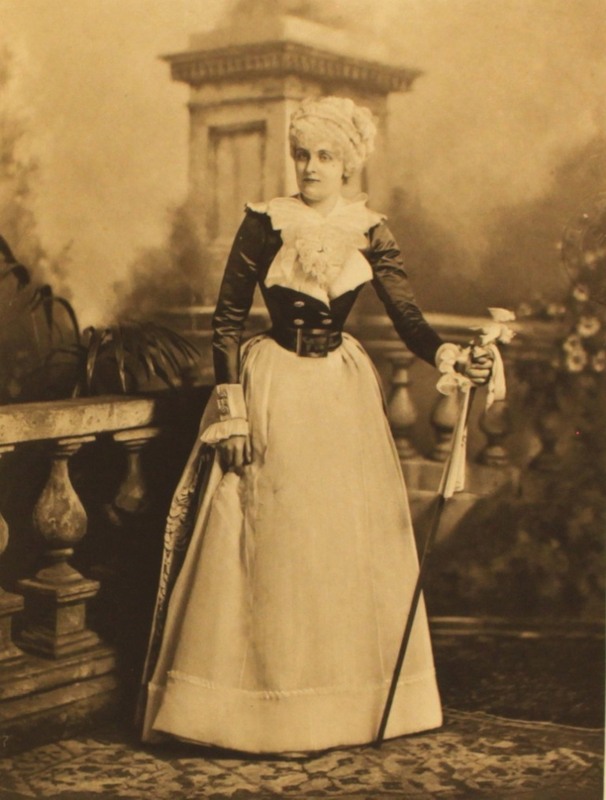 The Hon Maud Winn as Madame la Motte, possibly the thief and adventuress who was involved in the complicated affair of the Queen’s diamonds in the reign of Louis XVI and Marie Antoinette. It’s an incongruously disreputable note on which to finish with this grand and respectable event. 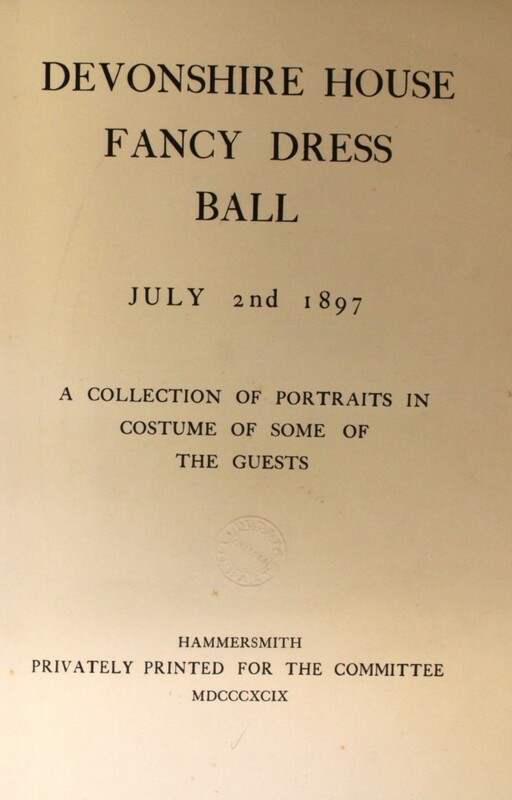 The Ball took place in July, which must have made some of those heavy costumes uncomfortable. Not really appropriate for this time of year either. One of the other characters who’ve appeared in the blog, Jerry Cornelius held a spectacular party in the Final Programme. So from him I take this message: a happy new fear to all my readers. 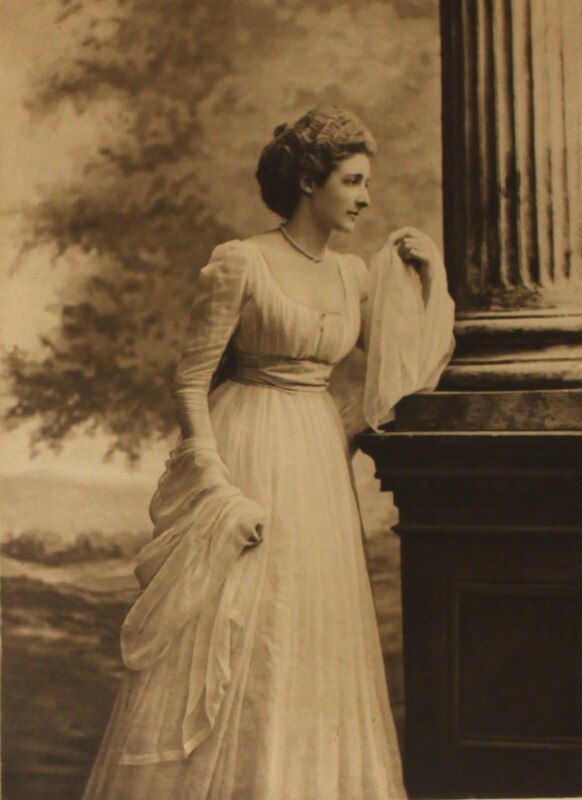 This entry was posted on Thursday, January 2nd, 2014 at 12:03 am	and tagged with Duchess of Devonshire's Costume Ball, fancy dress, London and posted in 19th Century, Fashion, London. You can follow any responses to this entry through the RSS 2.0 feed. 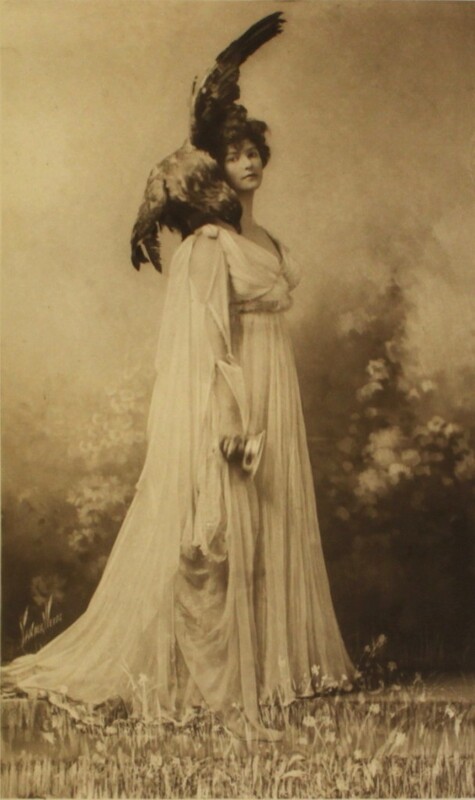 The eagle was actually a part of the Countess of Westmorland’s costume. She’d borrowed it from a museum and found it extremely heavy. It also made dancing at the ball very difficult. Hortense de Beauharnais (not Beauharnis) was not a Mervelleuse. 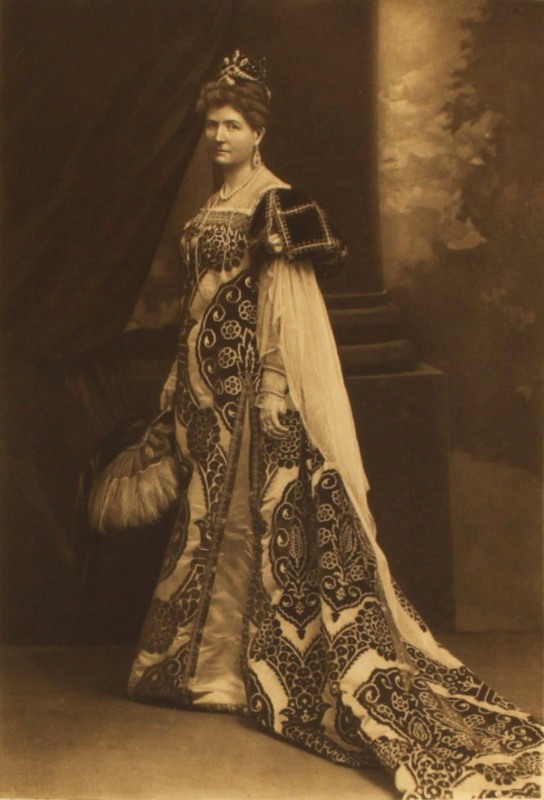 She is of the following generation and Napoleon would never have allowed his step daughter to sally around in transparent gowns and short shifts.Her mother, Josephine de Beauharnais, was the ultimate merveilleuse before her marriage to Napoleon. The Merveilleuses emerged immediately after the Terror, when a sort of madcap, lucky to be alive mentality reigned among those who were very much afraid for their lives (often imprisoned, hungry, etc). Therese Tallien, Josephine and Madame de Recamier were the three great Merveilleuses. Their activities and outfits were chronicled in the periodicals of the time, very much like today’s celebrities. They would wear transparent gowns (sometimes damp to cling to their curves), classical style sandals, short hair (a la victime, as the prisioners waiting to be beheaded would cut their hair, preparing to go to their death and trying to avoid the shameful spectacle of being shorn in public) and all manner of scandalous outfits. Tallien once bet that her entire outfit at a ball weighted less than two gold coins. She won the bet, stripping in the middle of the ballroom. This is a wonderful joy to learn about and see. The tenth picture down uses the same fabric as this dress!!!! Not sure if the ‘Countess de Lazan’ is the wife of this fellow because the dates – perhaps his mother? Luis Rebolledo de Palafox y Melci, 1st marqués de Lazán (June 2, 1772, Zaragoza – December 28, 1843, Madrid) was an Aragonese officer and general during the Spanish War of Independence. Alongside his brother José de Palafox, the Duke of Saragossa, Lazán was a national hero in 19th century Spain for his defence of Saragossa from the French Imperial armies in 1808 and 1809. Mademoiselle Andrée de Taverney was a fictional character created by Alexandre Dumas. 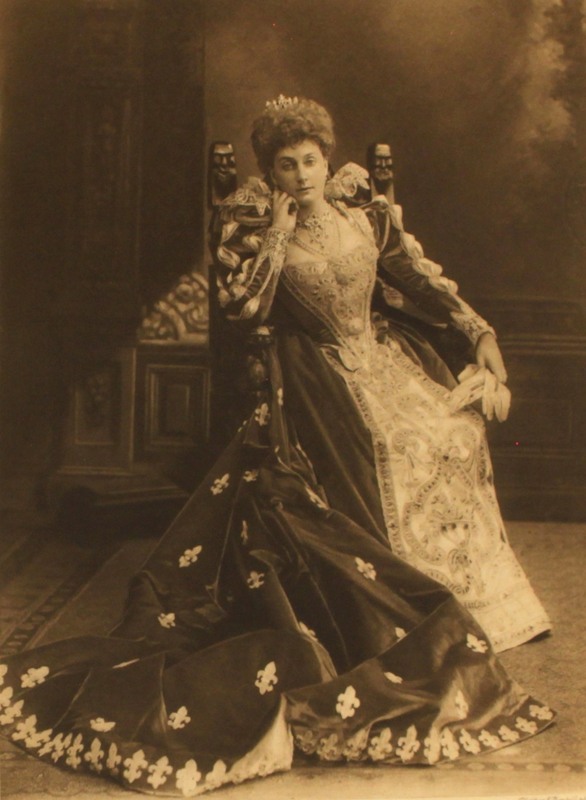 She appears in several books, the first of which was ‘Andrée de Taverney, or the Downfall of French Monarchy’, published in 1893. 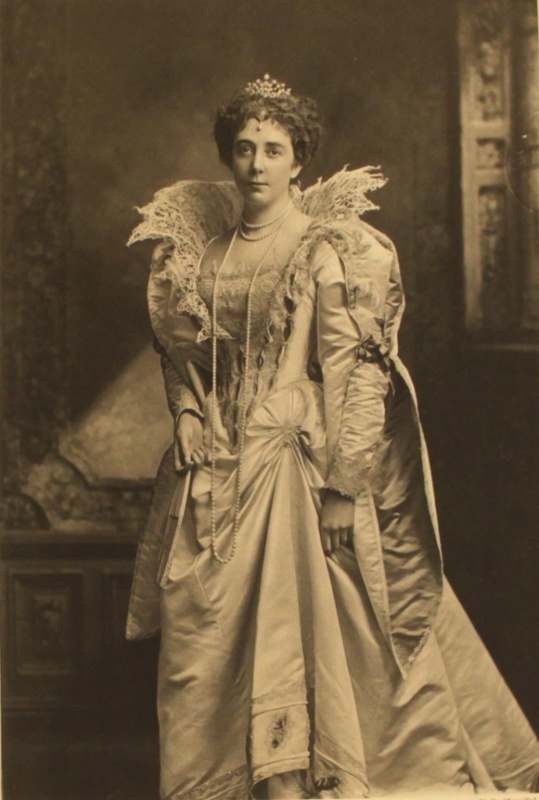 I have a collection of notes on the Devonshire Ball which I’ve gleaned from many sources, and one note states that Lady Moyra Cavendish was dressed as Countess Lutzau (not Lazan), a lady-in-waiting to Empress Maria Theresa. Unfortunately I can’t remember where I found it. Thanks for this information. I’ve taken names from the book of photographs of the guests. The photographers didn’t always get it right. 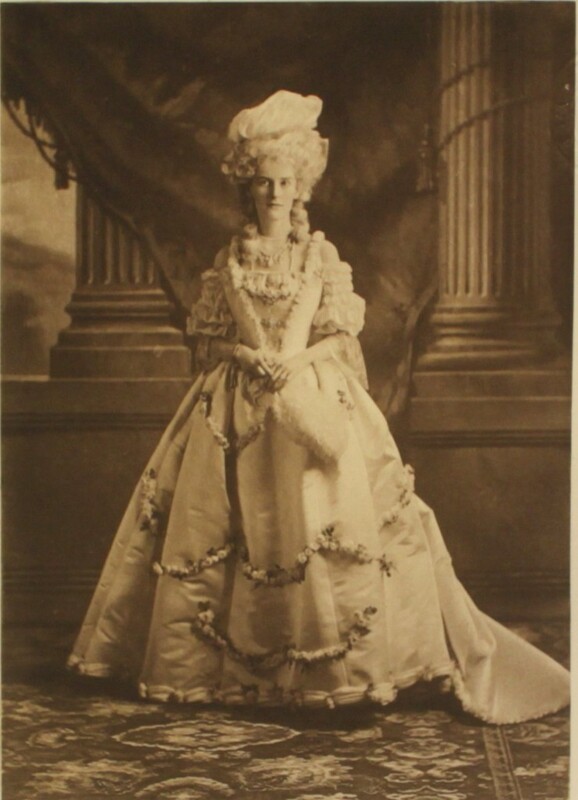 Oh, the bitter irony of someone attending a ball at Devonshire House dressed as Lady Melbourne! I’m afraid you’ll have to explain that one to me…. 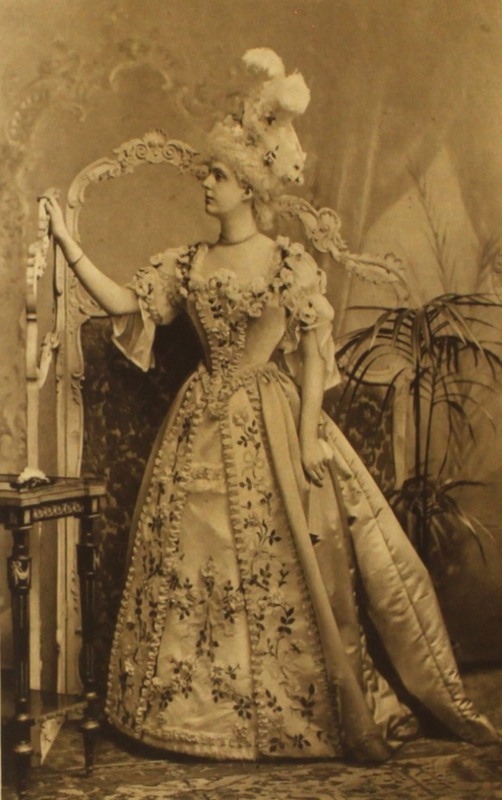 The Devonshire House Ball (1897): Dressing Up on a Grand Scale | Enough of this Tomfoolery! http://lafayette.org.uk – when I worked in the V&A Museum Picture Library back in the 1990’s, the Devonshire House Ball images were housed there. Lafayette images can now be found on their own website – all images ©V&A Museum. There is an extraordinary image from 1911 – a hunting party photo in the UK with all the crowned heads of Europe including the Kaiser. The rest, as they say, is history….